In 2013 The Vitamin Shoppe became a Sani-Tech customer and we couldn’t be happier about doing business with the New Jersey native. The fitness supplement company has stores nationwide and has started expanding into Canada and Puerto Rico. At their Ashland, Virginia factory location Sani-Tech installed an Auger Compactor, Model ST1554/36T, over five years ago! This size combats the center’s recycling in volumes approaching 20-foot high stacks of cardboard boxes daily. 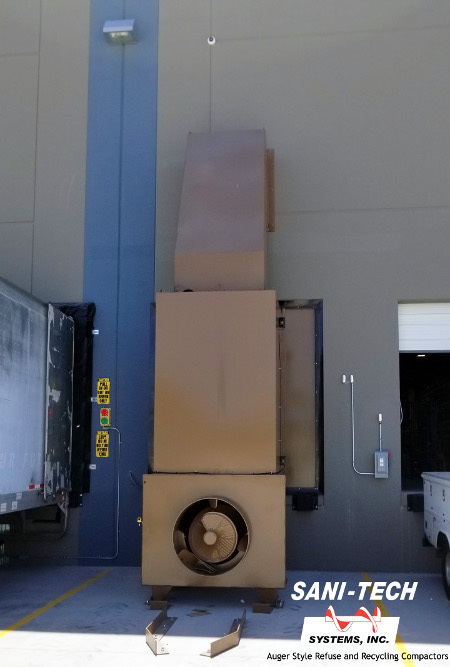 With our convenient photo-eye start and through-the-wall dock door enclosure, this Corrugated Compactor gives new meaning to the ease-of-use our machines provide. Our newest addition to the Vitamin Shoppe business is pictured below. A Sani-Tech Auger Compactor Model ST1554/36. In addition to hand loading, this system was customized to include dual-loading options! 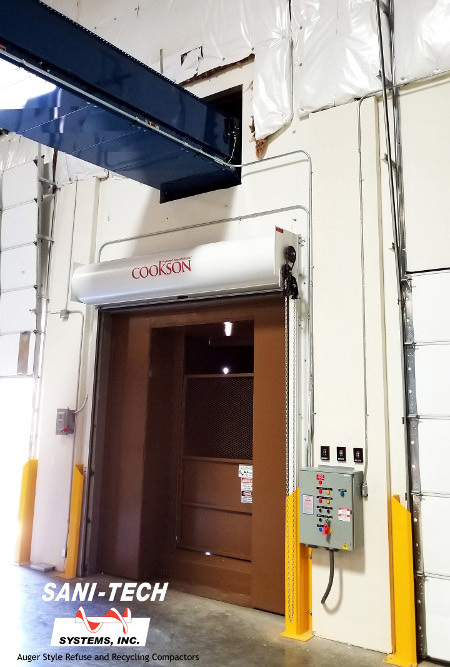 The Sanitech engineering team designed the pictured custom Hopper allowing for their existing conveyor to dump into our fully enclosed, through-the-wall chute. Our Distribution Center Compactors, like this one, have a longevity the company can count on and was manufactured 100% in the US. Designed, fabricated, delivered, and installed during Summer 2017!